Hey folks... August just flashed before my eyes and 1 month has already gone! Scary.. 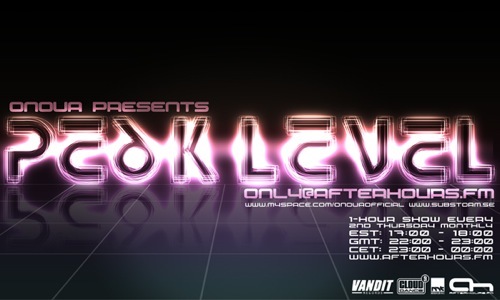 However it means that its time for the 3rd show of Peak Level! So hope everyone has had a good rest and is ready for another energy trip! I will be playing some fresh new tunes from Cold Blue, Fast Distance and Octagen.. So pull out the dancing chairs and ill see you guys tonight! I did fall asleep during Marcus set. I really hate to miss Onova in the mix!